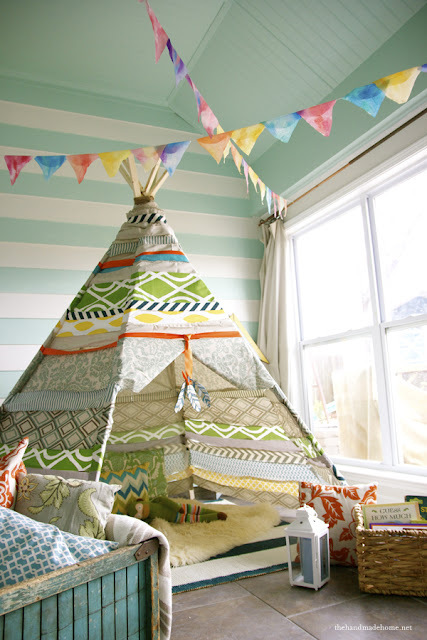 Ashley created this amazing play house teepee to give her kids something fun to play with indoors while the weather was too cold to go outside. It is so amazing that I almost don't believe it was a no sew project. Actually I wouldn't believe it if I hadn't seen the tutorial. You can check out how to make a no sew teepee over at The handmade Home.